Last Saturday the Geelong Lithuanian community continued its tradition of participating in the local Pako Festa multicultural festival. Lithuanians from around the Victoria were among the 100,000 gathered for the parade held annually (since 1983) on the famous Pakington Street in Australia’s multicultural city by the bay. As per usual, the Geelong-Lithuanian community’s float featured members of its folk dance group “Linas” and athletes from its sports club “Vytis”. 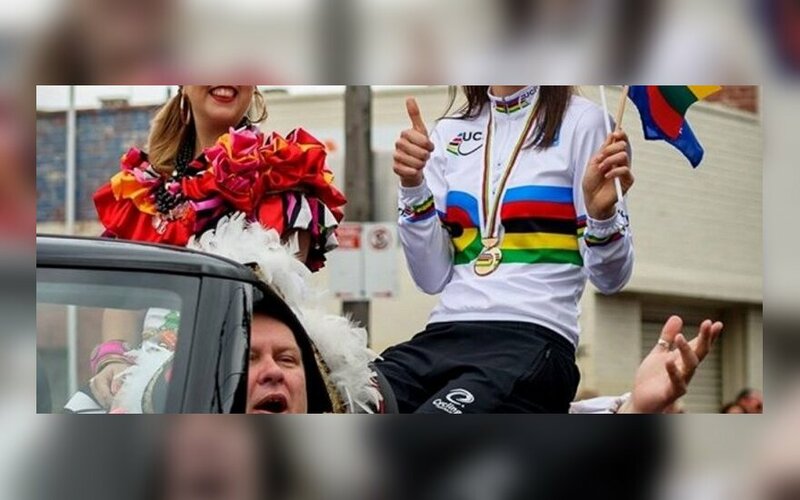 However, what set this march apart from recent years was the homecoming of Geelong-Lithuanian cyclist Rebecca Wiasak from Paris, one week after claiming her first world championship. The 30-year-old became the first tournament debutant to win a Gold medal for Australia when she took out the Gold medal in the 3km Women’s Individual Pursuit final. 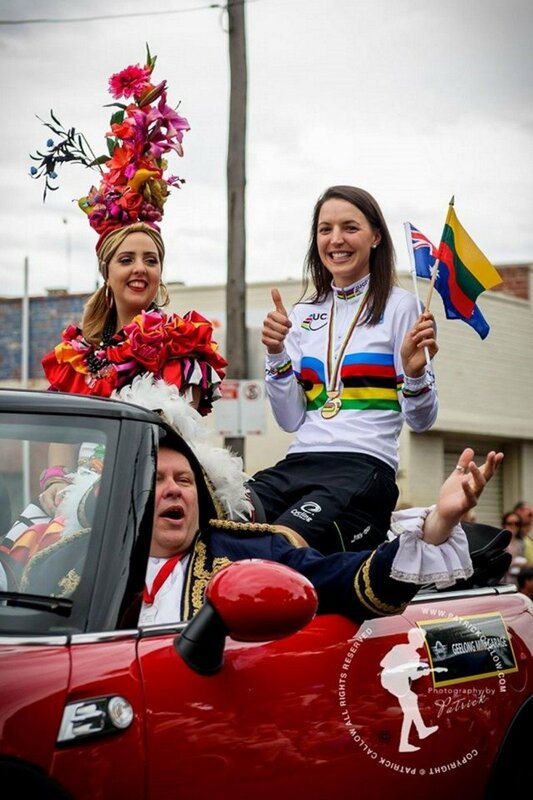 Wiasak’s homecoming was topped when asked to lead the parade Pako Festa parade waving both an Australian and Lithuanian flag with pride.